I have to credit the movie "Eat, Pray, Love" starring Julia Roberts from knowing that a country named Indonesia exists. I, together with other fellow ladies who are until now searching for life's greatest fulfillment and who knows meet a true love along the way who is comparable to Javier Bartdem's character - a successful divorced businessman whom Julia ended up with, was once convinced to go to Indonesia and follow her path. In my case, my qualifications aren't exactly like this though, just someone who will love me unconditionally. However, after meeting so many backpackers and reading lots of travel blogs who are spending months travelling across Southeast Asia and the world, I have found out that Indonesia isn't just a place for soul - searching. It is for everyone who wants the best what life can offer. Some travelers avoid visiting the capital city of a certain country they visit because of the crowd, pollution and so on. Me, I still love to get a glimpse of the hustle and bustle of an upcoming megacity like Jakarta. Watching tall skyscrapers fully lit at night is awesome! In Yogyakarta - a cultural hub in Jakarta, taking a city tour ( DIY or not) is a great opportunity to explore the many streets and alleys; finding silversmiths and puppet shows; night markets and freezing malls and indulging at cheapskate street food up to your stomach's delight! If you find Bali overrated, head to Lombok. Both have the same size but Lombok definitely has fewer tourists so far. 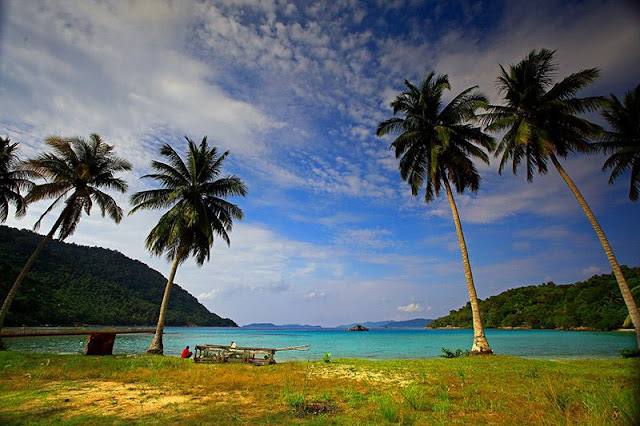 Untrodden scenic beaches for swimming and surfing are the best spots here. Rivers, waterfalls, hot springs and crater lakes are all waiting for you. If you are a mountaineer, you can climb at Gunung Rinjani - Indonesia's second highest volcano. 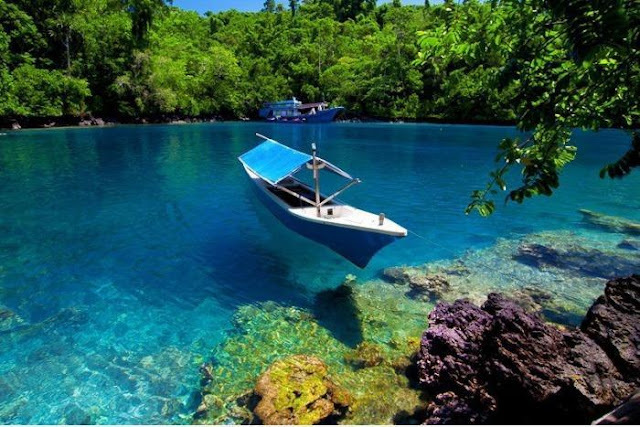 If you are an island party - hopper, check out the Gili Islands, known for its white sand and throbbing nightlife. No offense but I'm really not the one who travels to see some exotic animal unless live dinosaurs have been found and are bred like the ones in the 2015 edition of Jurassic Park the movie. If you are, the Komodo Islands is the place to be. 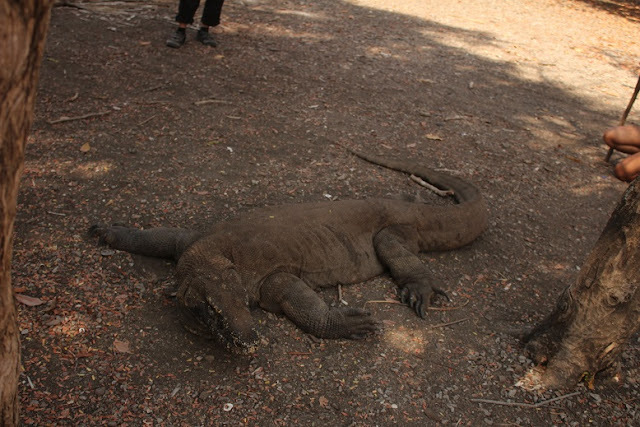 The Komodo National Park, a UNESCO declared site is home to these gigantic lizard - like animals. Be reminded though that these are your typical domesticated animals, komodos are by nature dangerous to humans so please make sure you have a guide or ranger with you when you see these. 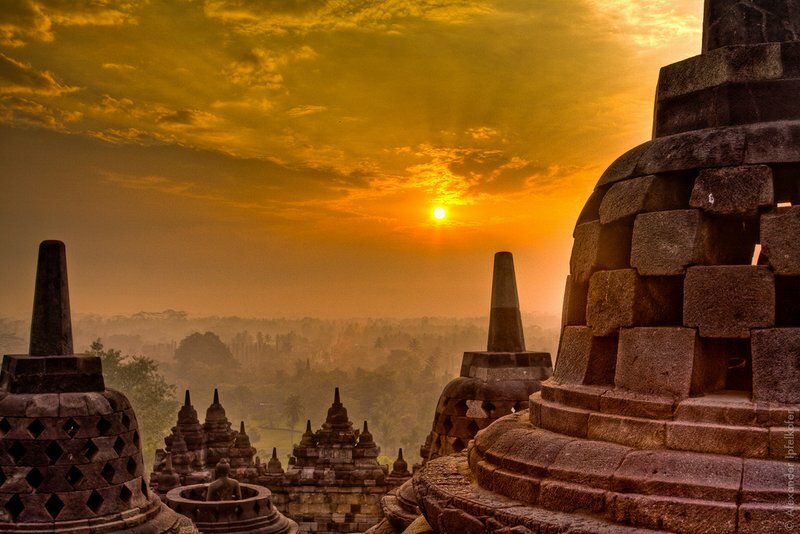 Borobudur is the Angkor Wat of Indonesia. This is said to be the largest, if not one of the world's largest Buddhist monument built as early as 9th century. This UNESCO declared site can give you the best peek of sunrise just yet but you really have to wake up early in the morning - when the surrounding is completely dark. It's best recommended you do it on weekdays, when there's not a lot of people doing the same. If I were you, a bit of googling the night before you get there will help you appreciate Borobudur's history and be awed at some of its mystery that isn't unsolved up to this day. I travel for food, yes! I am a Southeast Asian who likes spicy food and is used to white rice served with viands in every meal just like Indonesians so I won't have a big time adjusting my palate. Three Indonesian food to check out when you get there is Chicken satay (skewers of grilled chicken meat dipped in peanut sauce), Nasi goreng (friend rice with veggies, chicken, shrimps served with fried egg and Rawon(a spice flavored meat black soup served with rice and comes with a small bean sprouts, scallions, shrimp crackers, and sambals). There's a local beer that is really worth it called Bintang. To those who doesn't drink alcohol, Rawon, you can have a botte of Bir Pletok without getting drunk because it is made from mixture of ginger and lemongrass! 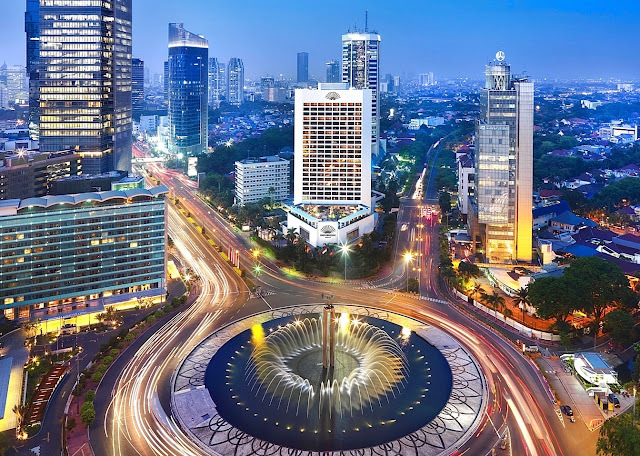 Of course, when you've exhausted your body and mind from a whole day of exploring, the last thing you'll wish is a comfortable stay in a nice and affordable Indonesian hotel with a soft bed, safe ambiance and a swimming pool to cool off. I would definitely suggest Traveloka to find the best and most affordable hotels in Indonesia. There you go! These are just a few of the thousands of things to do in the wonderful country of Indonesia. And yes, speaking of, I am heading to Indonesia after my Bangkok trip this August. See y'all soon.